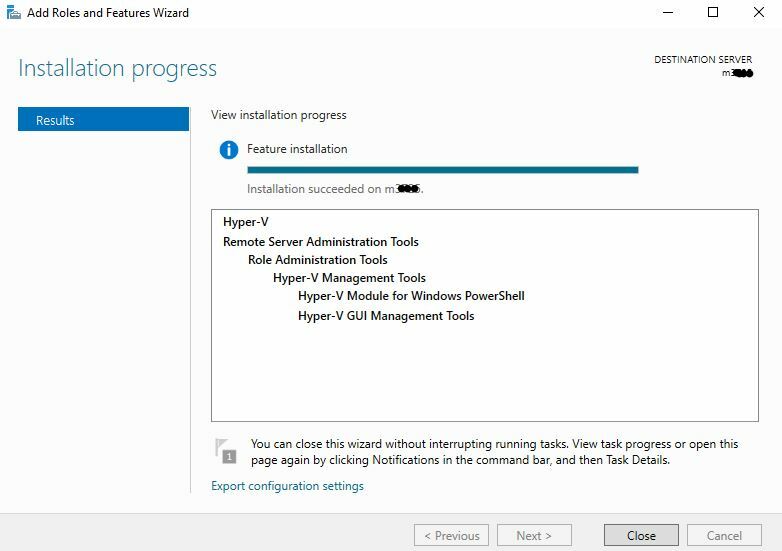 Welcome to our tutorial about installing Hyper-V on your Dedicated Server with Windows Server 2016. 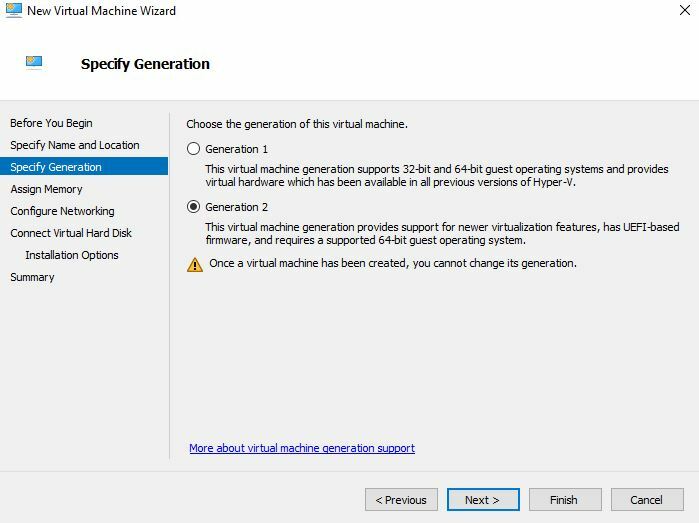 After receiving the login information to your dedicated server you might want to find out how Hyper-V can be installed. 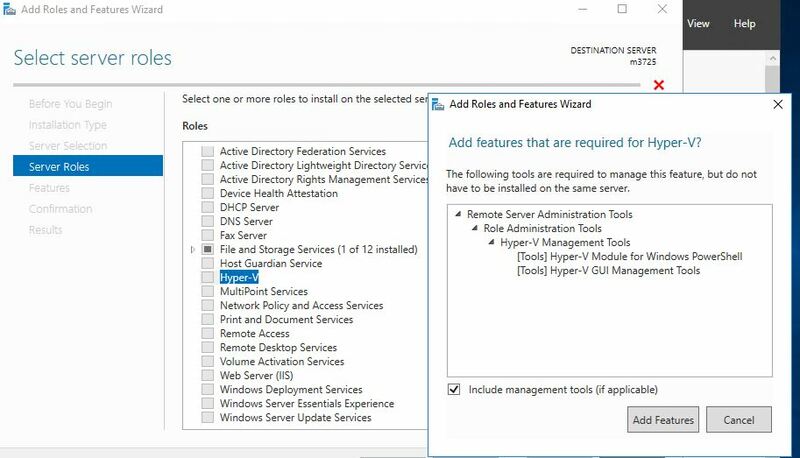 Hyper-V is an additional Server-Role for Windows which can be added within the Server manager. 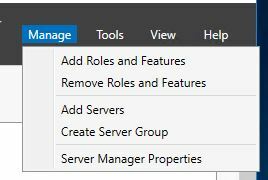 On the upper right side you will find the option "Add Roles and Features"
After clicking on that option a new windows will popup. 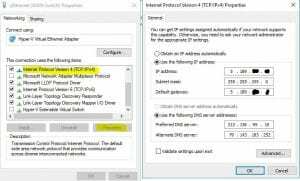 Now select the checkbox and click on next. 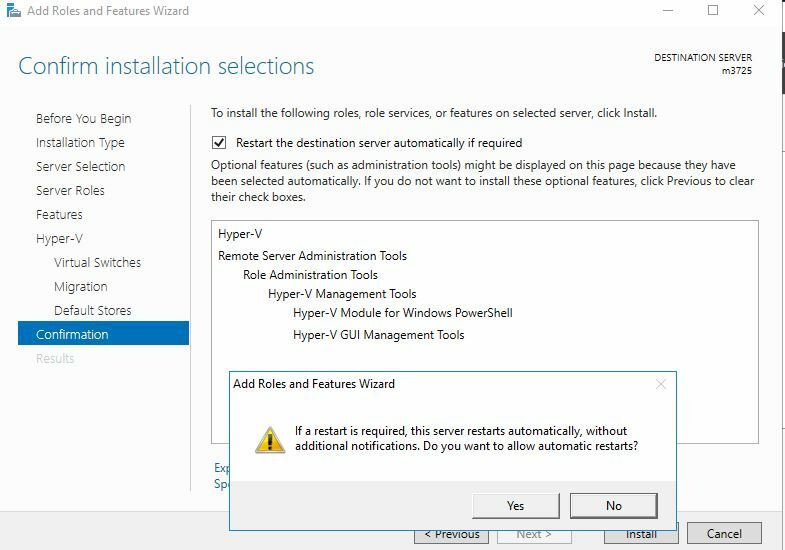 You will be asked if the install manager is allowed to automatically reboot your server. 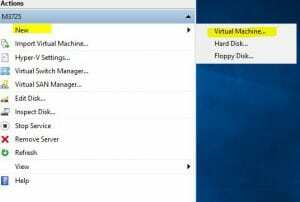 At least one reboot is required ! 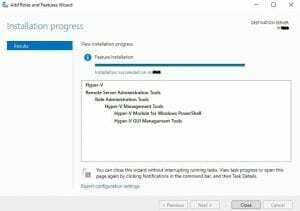 The installation can take up to one hour, depending on the rented dedicated server model and the storage configuration it might be completed within several minutes. 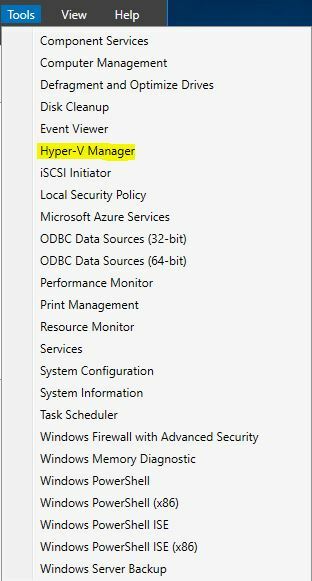 For configuration we are going to use the Hyper-V Manager, you can access this tool by clicking on "Tools" on the upper right side within your Server-Manager window. 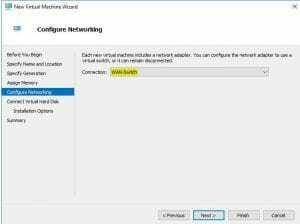 Before creating a virtual machine, we have to configure the network interface. 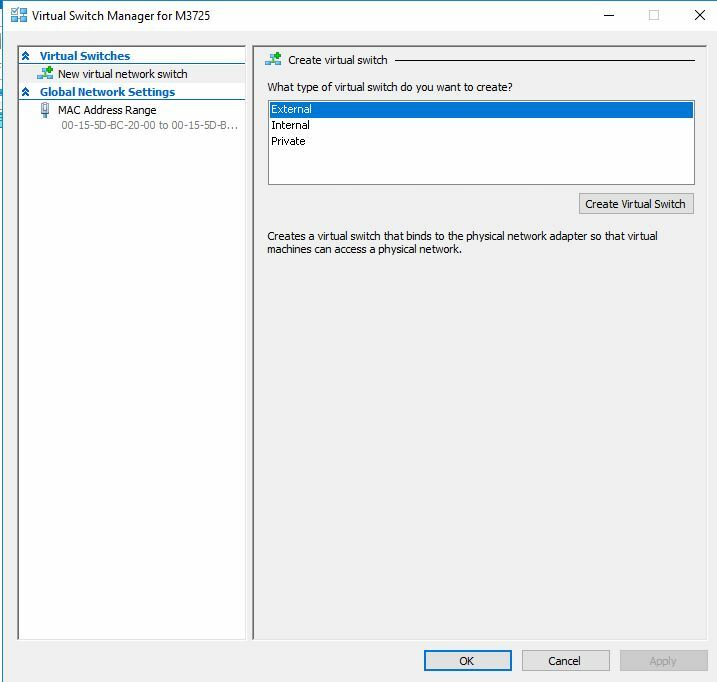 Open the "virtual Switch Manager" to perform the necessary steps. 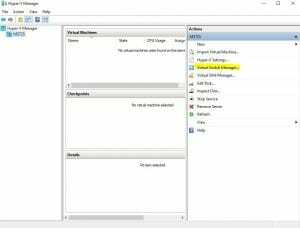 Enter a name and description (notes) of your choice. 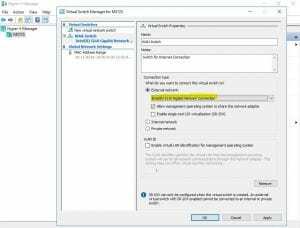 Select the external network and make sure that the checkbox "allow management operating system to share this network adapter" was selected. If it was not selected your server might be inaccessible afterwards. 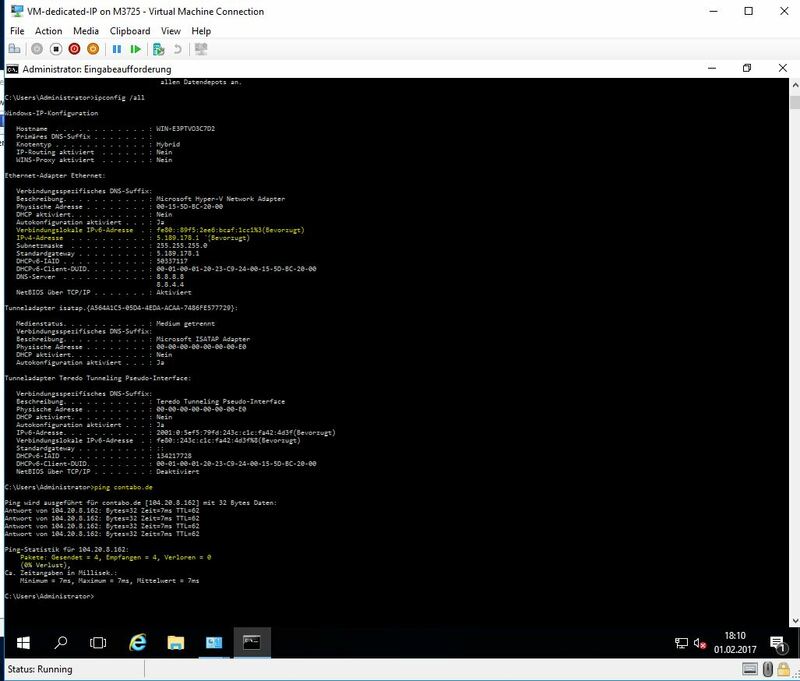 On the taskbar at the very right side you will see the network icon. 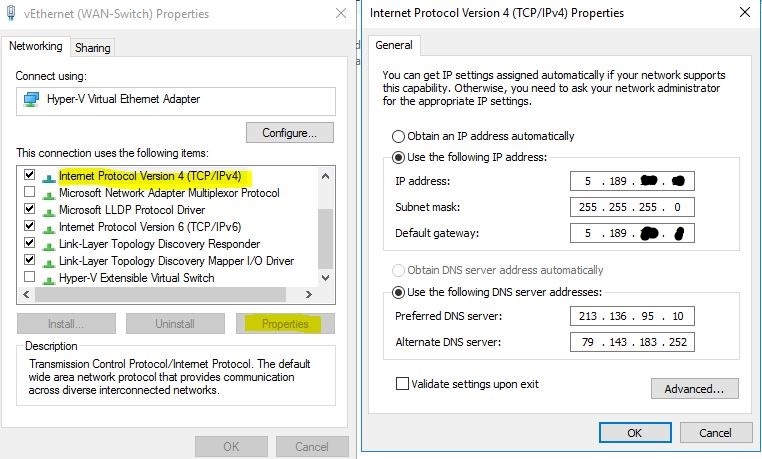 Select "Internet Protocol Version 4" and once more select "Properties"
Please double check the information you are setting up, otherwise your server will be inaccessible. 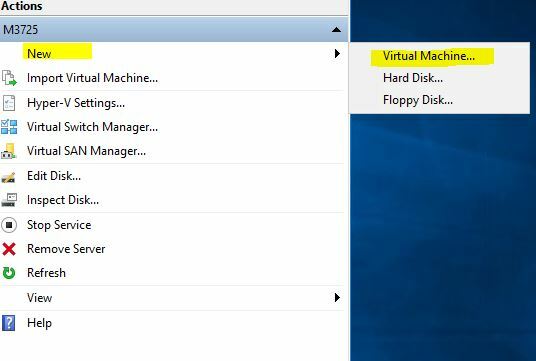 For now we are almost done, the next step shows you how to create a virtual machine. 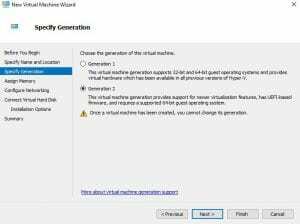 Tip: Selecting "Generation 2" for Windows 8 (Windows Server 2012) VMs and later will improve the performance. 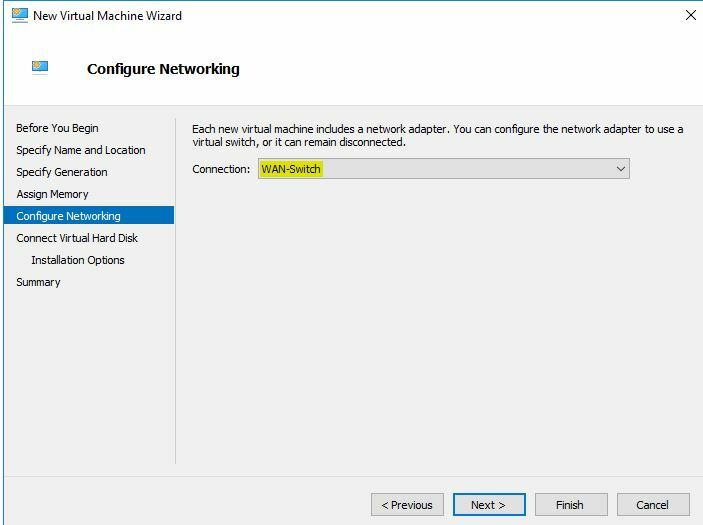 As network device you should select the Hyper-V Switch we have created before. 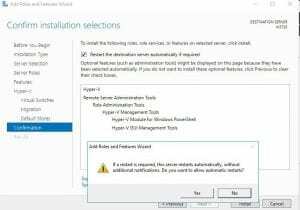 Select the .ISO you want to install and start the installation. 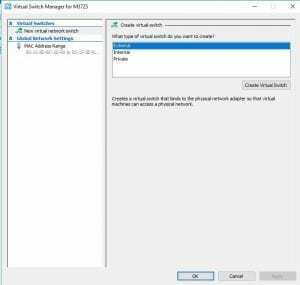 After the installation was completed you need to set up a public IP within the VM. 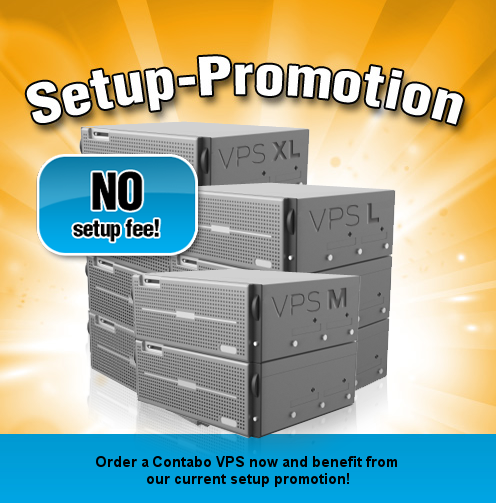 If you do not have any additional public IPs assigned to your account, please contact us at support@contabo.com to order additional IPs. 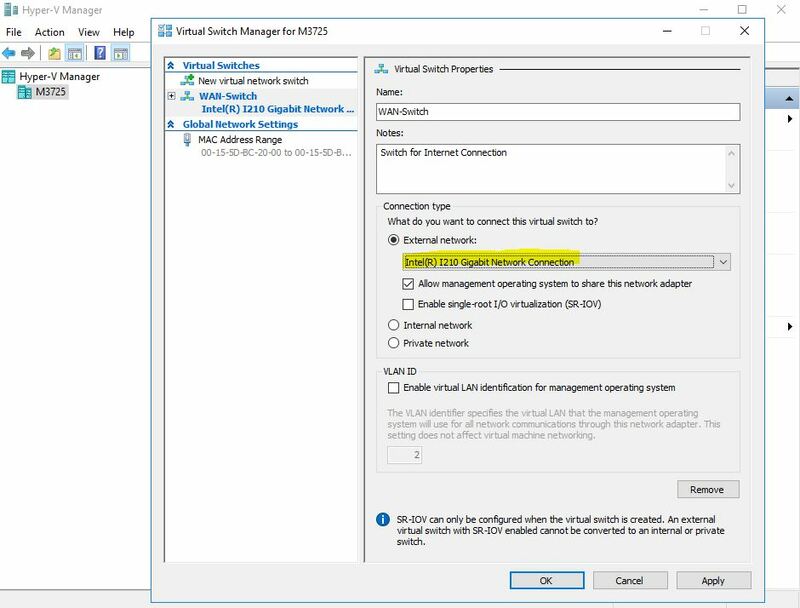 After a public IP was set up, your VM will be able to establish connections. 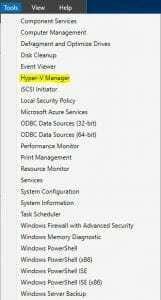 Today we disclose our last but one secret. 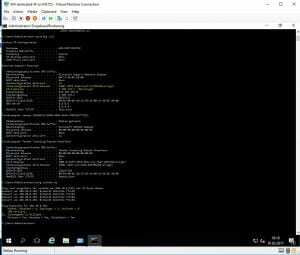 No Setup fee! 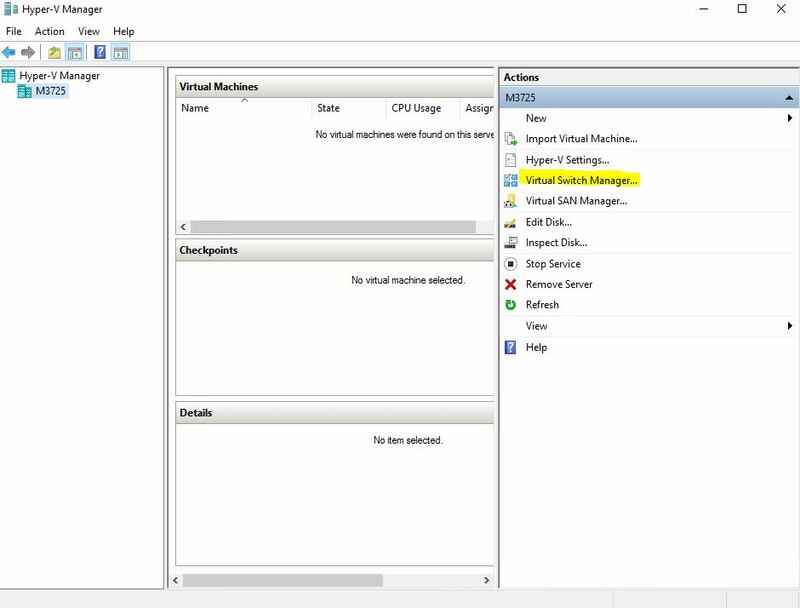 Free Installation of your VPS L.
Our VPS L is equipped with an Intel CPU with two cores and double priority. 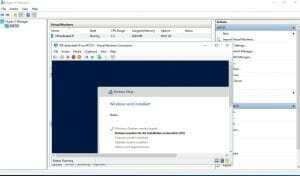 Combined with its 6 GB of RAM, this virtual machine is very well equipped, even for complex scripts and web applications. With its 100 Mbit/s port, 300 GB storage, 6 GB RAM and a lot of power at only 19.99 EUR per month, the VPS L delivers an excellent price performance ratio!